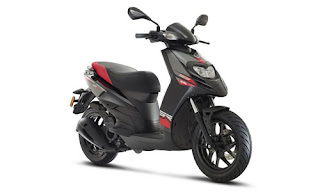 Piaggio India has launched Aprilia SR 150 last year and it was a huge success for Aprilia in the Indian market. 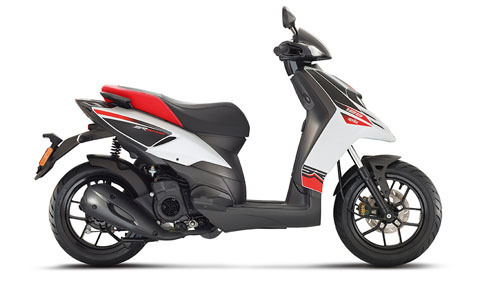 Basically, the SR 150 is being considered as India’s first ‘sport-scooter’ under budget and Aprilia Sr 150 is a fun-to-ride scooter. The 150cc automatic scooter was launched with price tag of Rs 68,806 (Ex-showroom, New Delhi). And now Aprilia is ready to launch its new SR125 model in India.Although Its name may be Aprilia SR Motard 125.Aprilia SR 125 may be showcased at upcoming Auto EXPO.Aprilia is known for its Sports category bikes.Expected price of Aprilia SR 125 can be around 50,000 to 60,000 ex-showroom.Aprilia SR125 launch date is around mid of 2018.Its detailed Specification is listed below. Aprilia SR 125 powered by Single cylinder,4 Stroke 124 cc engine which is capable of generating Maximum Power of 9.6 ps at 8,500 rpm and peak torque of 8.2 Nm at 7,500 rpm.It has Forced air cooling system.Which is enough for city ride and long drive.Moreover, the engine is very responsive and accelerate very quickly. Aprilia SR 125 has same design and exterior as compared to its predecessor SR 150.Sporty handlebar and light unit is commendable work by Aprilia.Flat footrest gives better riding comfort.Wheels of Aprilia Sr125 is 14 inch which is good for agility on road.Boot space under the Aprilia SR 125 is More than Adequate for helmets.Sporty graphics on both sides of Scooter looks really amazing. 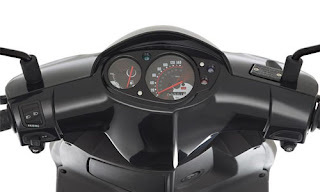 Aprilia SR 150 is available for sale in Mid of 2018.Spy images of the Aprilia SR 125cc automatic scooter have started surfacing in the web space.We can't wait for its launch.It can compete with Honda Activa and Suzuki Access 125. 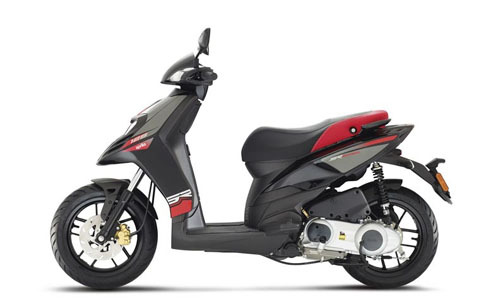 As presumed from its sibling Aprilia SR 150 may give mileage between 40 to 50 KMPL as Average.If you ride in the city then its mileage may be decreased a bit.Although Racing machine has less mileage because of quick acceleration. Aprilia SR 150 has really good suspension and braking power . its Front Suspension is Telescopic hydraulic forks and Rear Suspension is Monoshock.Which give better handling and a good ride quality.Engine vibration is very less and you can easily ride with a pillion.Aprilia SR 125 can easily absorb all potholes and bumps. It comes with disk brake of Hydraulically operated 220 mm disc in front and 140 mm drum at Rear.Which works Surprisingly amazing at high speed.We have tested braking on its Sibling Aprilia SR 150. Aprilia SR125 is one of the best upcoming scooters in the Indian market.If your budget is around 60,000 INR for a Scooter then we recommend you to wait for the model to launch.Because Aprilia is given much more competition to 125 cc categories.We also recommend to all that always Take a test ride before you buy or book any of your vehicles.If you have any Question then you can ask me at ASK@autoadvice.in or follow our facebook page.